Although the Lumia 930 was excluded from the Windows 10 preview today due to a scaling issue, it seems the handset is still eligible for a new update in the form of Windows Phone 8.1 Update 2. The Windows 10 Technical build 10051 for phones, expanded the list of supported handsets, but some users found their devices were being updated to Windows Phone 8.1 Update 2 instead of Windows 10. Microsoft even started a thread in their support forum to try and figure out the cause. Since the Lumia 930 was not eligible for this build of Windows 10, it can directly move onto Windows Phone 8.1 Update 2. Windows Phone 8.1 Update 2 brings its own set of improvements, including a new layout in Settings that is clearly more organized with jump lists and a search tool. There are also some other minor cosmetic changes, like the 'All apps' with the arrow near the bottom of the Start screen. Presumably, you will also get the new Bluetooth stack that supports Bluetooth keyboards. 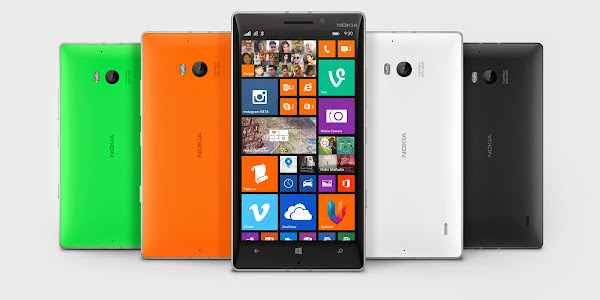 If you own a Lumia 930, you can get Update 2 by downloading the Windows Insider app and signing up for the Fast Track. The phone will check for an update and download the new bits. Windows 10 will not be installed. The build number is 15116. For now Lumia Icon (Lumia 929) owners seem to be out of luck, as the Verizon exclusive variant of the Lumia 930 will remain without the update until Microsoft resolves Windows 10 compatibility.